Offers in compromise settle your tax debt for a significantly reduced amount. Rather than disputing the amount of taxes you owe, they focus on your inability to pay the debt (or other issues). And, while you negotiate an offer in compromise, the IRS cannot garnish your wages or seize your property. You can also request an offer in compromise from the Commonwealth of Virginia. Other requirements may also apply to your claim. For example, you must be up-to-date on your tax filings (or have filed an extension) and cannot have an open bankruptcy case. Additionally, an offer in compromise may not be in your best interest if the IRS’ collection statute of limitations is approaching. Filing an offer in compromise pauses the statute of limitations, potentially giving the IRS more time to collect your tax debt. While the IRS offers an online tool to help determine your eligibility, a tax relief lawyer can better assess your claim and provide personalized advice and solutions. A lawyer can also help you understand the costs related to the settlement process. An offer in compromise basically gives you and the IRS time to sort out the problem. You can say, “I simply don’t have the money right now to pay off this tax debt that you’re claiming I owe.” The IRS will hopefully respond by reviewing your financials and hammering out a payment plan that allows you to pay off a portion of what you owe. This is also beneficial because it gives you a temporary stay against property seizures, wage garnishments, and other infelicities. You will need to show that paying off the remainder of a tax debt would cause you undue economic hardship. In other words, the IRS will have to be made to believe that if they levy this tax debt from you, you will be dire financial straits. The debt, therefore, is “uncollectible”. In rare situations, you can dispute your tax liability. This means telling the IRS that they’ve got it all wrong and that you don’t owe the amount they’re saying that you do owe. For obvious reasons, this road is traveled less frequently. It means showing that the IRS has made a mathematical error, and with the help of your attorney, you will correct them. IRS Form 656 is where you will begin your offer in compromise. You fill out the form, attach a check for $186. In some situations, this fee can be waived if you income is below a specific amount. This is called a poverty exemption. If you file for a poverty exemption, you must complete and submit an Application Fee Worksheet. Both individuals and business can submit an offer in compromise, but there are different forms for each. Individuals file a 433-A while businesses file a 433-B. This form gives the IRS authorization to review your financial information and is called a Collection Information Statement. If you own property with a spouse, you may required to give the IRS information concerning your spouse regardless of whether or not the money is owed by you alone. Take care when filling out this form. The IRS will be giving it very special attention. Mistakes here that give the appearance that you’re hiding assets or falsifying statements can cause the IRS to pursue more aggressive means to recover their debt. While the federal offer in compromise process was liberalized in 2012, it still requires a detailed and often complicated financial and legal analysis. Many offers are rejected because the IRS improperly believes you have “reasonable collection potential” or because there were errors in your offer package. It’s important to build a compelling and well-structured offer since many offers are rejected. 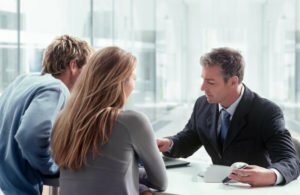 A tax attorney with significant experience negotiating offers in compromise can help you avoid these issues. Before you submit a proposed settlement to the IRS, you must obtain a variety of records, complete a series of forms, and perform a detailed analysis of your tax debt and financial assets. The IRS looks at your current assets and your future income potential when it assesses your reasonable collection potential. However, there are exceptions and exclusions available. A tax lawyer can help you properly calculate your collection potential and not overstate your finances. Your lawyer will verify your tax returns and review your financial information. 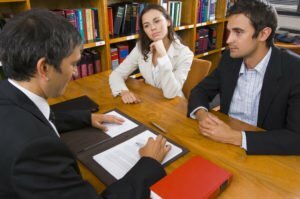 During this process, you should expect your lawyer to communicate with you — allowing him or her to tailor your offer in compromise to your needs. Finally, your lawyer will compile your information on an IRS Collection Information Statement (Form 433-A or 433-B). While the IRS is evaluating your offer in compromise, it cannot levy (or seize) your property. However, it can still issue tax liens. If you have concerns about levies and liens, contact a tax lawyer immediately for assistance. If your offer is approved, you will pay the settlement amount either in a lump sum or in monthly payments. (Typically, installment plans allow you to pay your offer in compromise over six to 24 months.) Once you pay your tax settlement in full, the IRS will release any tax liens issued against you. While an offer in compromise can potentially reduce your tax burden and gives you a temporary stay against property seizure and wage garnishments, it does not prevent the IRS from putting tax liens on your house or other property. The IRS will then sell these liens to investors who become owner of the debt and the collector of interest. If you default, they take ownership of your property. There is a huge market for tax liens. In addition, like all other debts, there is a statute of limitations on tax debts. If the statute has run out, the IRS can no longer take aggressive action toward collecting the debt. Initiating an offer in compromise can pause this process. It’s also important to realize that the IRS will be scrutinizing all of your financial records. They will be asking for pay stubs, receipts, car payment information, mortgage payments, health insurance, bank account information, vehicle registrations, and just about any other financial transaction that you can think of. In other words, it’s an exhaustive time-consuming process. One other thing to consider is that fact that you will be providing the IRS with all the information it needs to expedite the process of collection. Those who file offers in compromise should have a fair amount of confidence that theirs will be accepted. If not, you’ve just made it that much easier for them levy your assets and accounts. It’s usually helpful to sit down with a tax attorney who can advise you on your best course of action. The IRS doesn’t like offering compromises to anyone and the process is just about as difficult and aggravating as it can be. It is much easier to negotiate a repayment plan that will allow you to repay your tax debt in installments. Nonetheless, those who have had a major financial hardship either due to divorce, illness, or the loss of a job can have much of their unpaid taxes discharged in the right situation. Our tax relief lawyers have extensive experiencing preparing and negotiating offers in compromise. Unlike cut-rate offer mills, we give our clients personalized attention and advice. If you need assistance with your tax debt, contact the Sodowsky Law Firm.